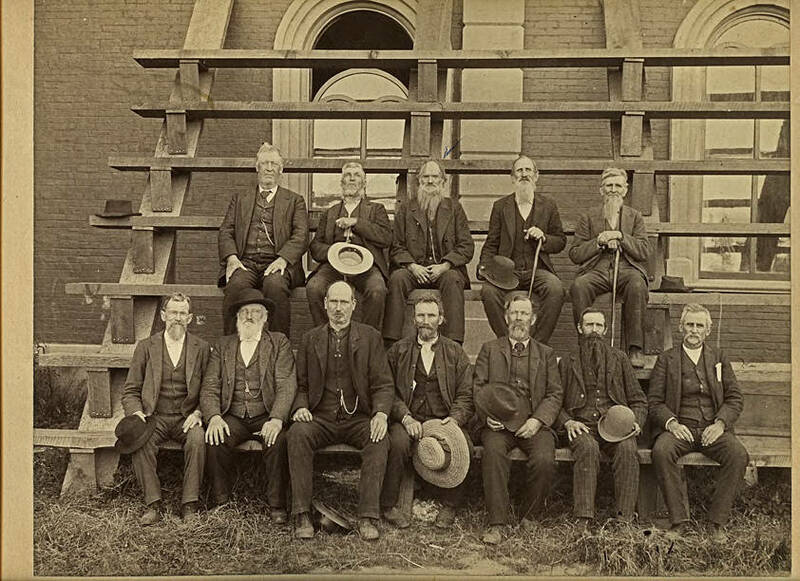 Sepia-toned image on cardstock of a dozen men seated on bleachers in front of a brick building. The men wear suits, and most have hats in hand. All are bearded, though those run the gamut from chin bears and Vandykes to full groomed beards. The brick building in the background has arched windows with contrasting stone framing, and one window is open at the top. 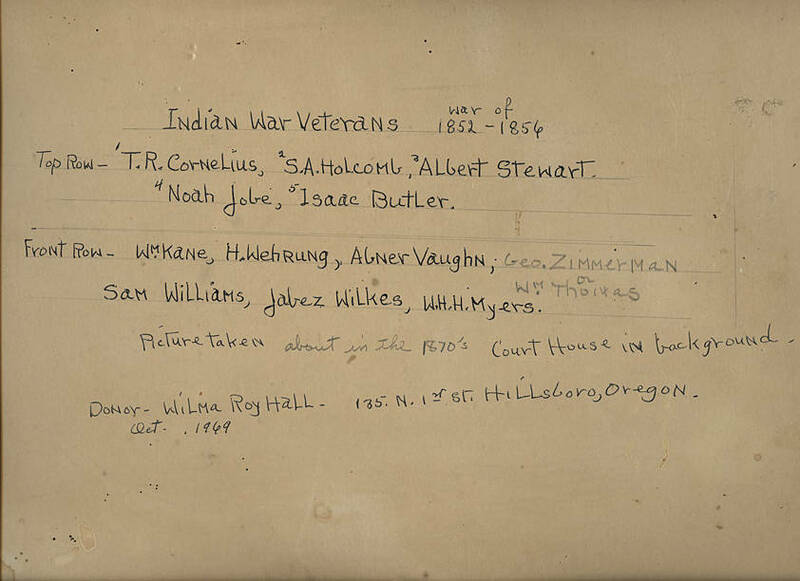 [front] [pen] Old Indian War Veterans from Wilma Roy Hall. My Grandfather, also Ben Cornlius [sic]. [back] [pen] Indian War Veterans, War of 1852-1856. Top Row - 1. T. R. Cornelius, 2 - S. A. Holcomb, 3 - Albert Stewart, 4 - Noah Jobe, 5 - Isaac Butler. Front Row - Wm. Kane, H. Wehrung, Abner Vaughn, [pencil] Geo. Zimmerman or Wm. Thomas. [pen] Sam Williams, Jabez Wilkes, W. H. H. Myers. [pencil] Picture taken about in the 1870s. Court House in background. Donor - Wilma Roy Hall, [addresse redacted], Hillsboro, Oregon. Oct. 1969.